Syma x5c vs Hubsan x4 h107c are popular comparisons for unmanned aerial vehicles that are increasingly becoming relevant today. They are used for numerous purposes like surveillance, news reporting, investigations and recreation. Also known as drones they come in a variety of shapes and sizes to suit the preferences and differences of individual needs. The following is a review of the Syma x5c vs Hubsan x4 h107c. The review will cover individual aspects of both these as well as a conclusion. From the moment the Syma x5c got released into the market, it instantly became appreciated among aerial novices and beginners alike. Most liked it for its cost-effectiveness, design quality and other features. The Syma x5c is ideally suited for outdoor flights because of its relatively large size of 9 inches, but if you have ample indoor space you can fly indoors. Best Quadcopter Under $200 – Guess what drone is best? Ok, click and read it! The design quality of the Syma x5c vs Hubsan x4 h107c appears somewhat expensive in nature. The design components include a Motif with LED lighting, a propeller and all-white body coloring. The propeller guards which come included are useful and certainly worth installing if you are an amateur at flying quadcopters. It is also recommended to purchase an extra set of propellers when buying the Syma x5c. Propellers are cheap, normally costing below $10 on sites like Amazon and you may need them although the product comes with an extra set. Back up propellers will deter frustration after something unexpected goes wrong with the original set. A minor design flaw with the Syma x5c is that the white paint flakes off, but this is rare and does not constitute a deal breaker either. The frames are firm enough to withstand sudden crashes that may occur during flight time. The Syma x5c has LED lights that are conveniently located beneath the aerial vehicle’s frame to enable easy night flying. Forward motors have orange LED’s while green LED’s are placed for the rear motors. 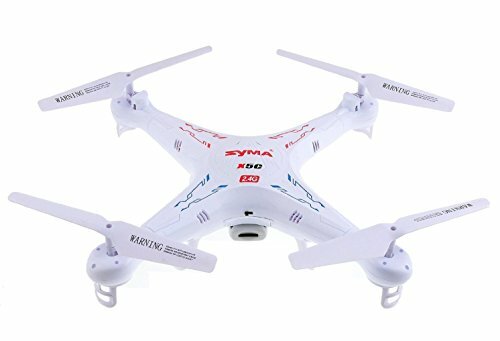 Visual orientation for the quadcopter may be a bit difficult to navigate because of its sleek appearance which is based on an all white frame design. The Syma x5c comes with a remote unit that provides a number of benefits and features for easier piloting and navigation. The remote uses 4 batteries to work, and has directional buttons, Normal and Expert mode, and roll activation. It doesn’t have a video or camera button, but can record videos and take photos using the trim buttons. The Syma x5c however doesn’t have a radio although it has balanced flight behavior. Flying the Syma x5c is really fun, enjoyable and entertaining to say the least. The vehicle is very stable when airborne thanks to the 6-axis gyro technology it uses. When flying the Syma x5c you can perform a variety of flip maneuvers and stunts easily without the need to mess around a complicated set of controls. The Syma x5c is not 100 percent perfect, which is normal for any tech gadget—but it is worth the try for its numerous benefits and advantages. One rather notable drawback with the Syma x5c is its all white color design, which also isn’t much of a big deal. The Hubsan X4 H107C is one unique drone model that would serve the needs and interests of any drone enthusiast. It’s a small drone that has the ability to fly right through the narrowest of places. 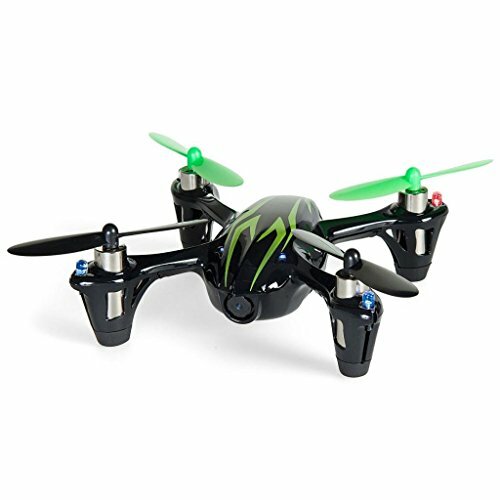 It is arguably the most compact quadcopter on the market with a range of features and benefits. This drone uses four motors, and with that enabling to execute expert take offs. The Hubsan X4 H107C allows pilots to fly and navigate without worrying about flips, this they can do by selecting the anti-flip mode. The Hubsan X4 H107C comes with four LED lights that enhance its already amazing design and appearance, and these come in handy during night flights. Another impressive and notable feature about this drone is that it has two flight modes: beginner and advanced mode, more or less the same with the Syma x5c. The beginner mode is ideal for those who are starting off using drones and yet to gather skill and tricks, and the advanced mode is ideal for seasoned professionals. The advanced mode on the Hubsan X4 H107C allows for complex and aggressive flips to ensure the ultimate flying experience. The Hubsan X4 H107C is an unique and modified aerial vehicle with a set of intriguing features. It comes with four LED lights, with forward and rear lights coming in different color scheme. It has advanced transmitters and excellent precision ideal for long distance flights. It also features 0.3MP camera and a video recording abilities all encompassed within a durable frame. Because of its compatibility, the Hubsan X4 H107C can fly indoors and outdoors with 6-axis flight management system. It is stable during flight, small in size and very portable. The four flip capacity enables it to make forward, right, and left flips. 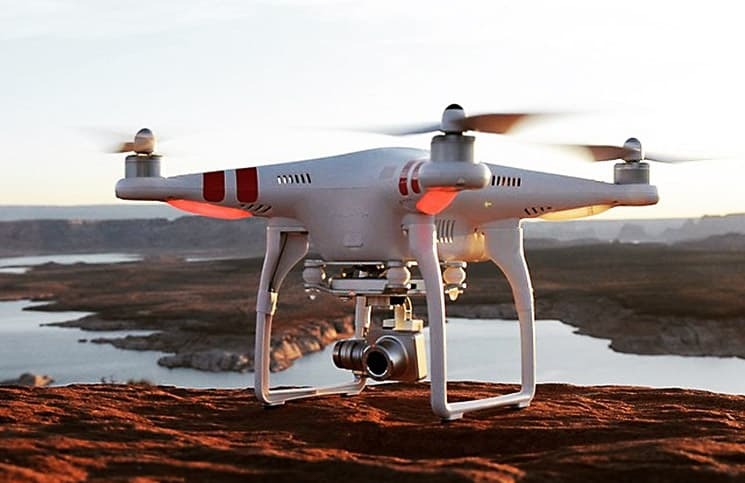 The Hubsan X4 H107C is very compact flying device that can be used for numerous activities like news reporting, investigations and recreation. Because of its small size, video recording ability and stealthy movements, this aerial vehicle is best suited for carrying out clandestine surveillances. This drone has tow flying modes, meaning you don’t have to be an expert to navigate and enjoy flying it. It has a rigid frame which enables it to withstand crashes making every penny spent worth it. If you are enthusiastic about flying the closest thing to the drones used by the U.S. Army, then the Hubsan X4 H107C is a must have. The Hubsan X4 H107C is a state of the art flying device that resembles the typical features of army drones. 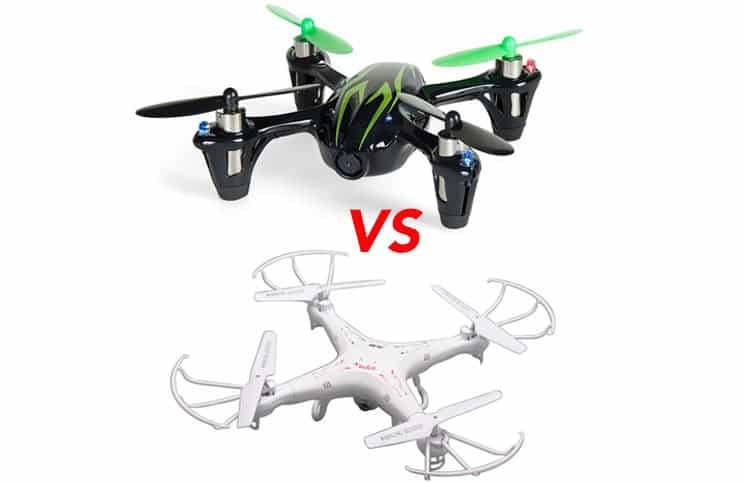 In comparison to the Syma x5c vs Hubsan X4 H107C the second takes the upper hand. It has a better design, easier maneuverability and a radio. This product is available at Amazon.com, eBay. The lowest price of Hubsan X4 FPV 5.8GHz 6 Axis RC Quadcopter Live LCD Video Camera Transmitter RTF was obtained on April 20, 2019 12:53 pm. hello, could you please publish examples of photos for both of them?